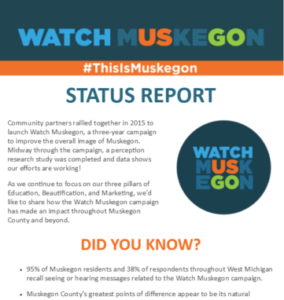 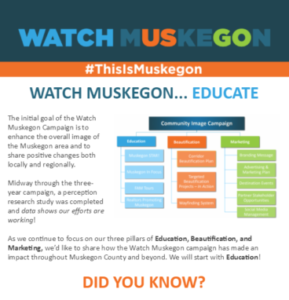 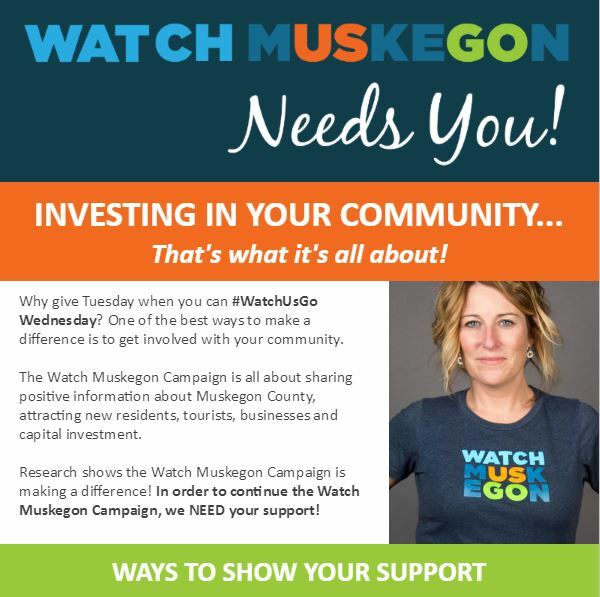 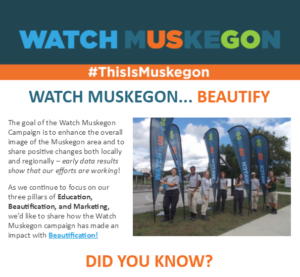 Watch Muskegon is a county-wide initiative, solely funded by donations. 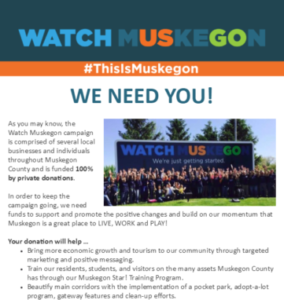 These donations help to pay for the campaign's beautification efforts, community educational training, and marketing/promotion. 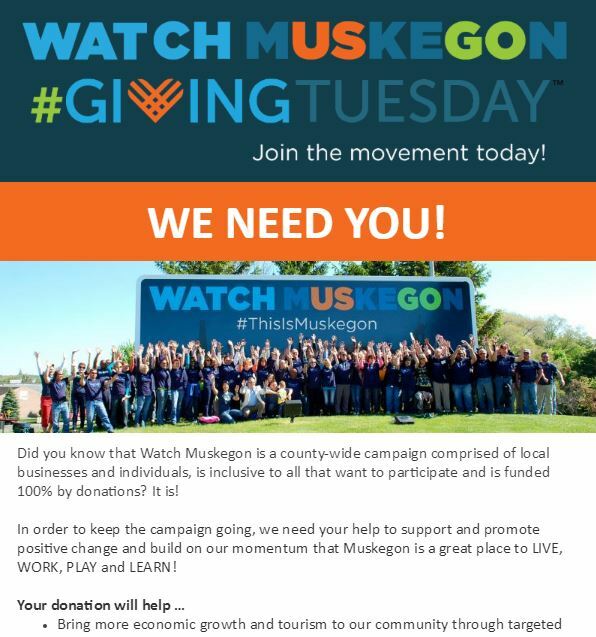 Donations run through the Muskegon Lakeshore Chamber Foundation and are tax deductible. 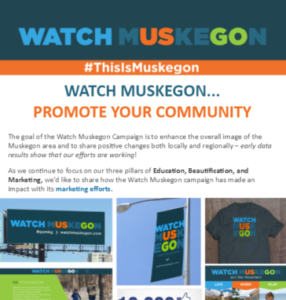 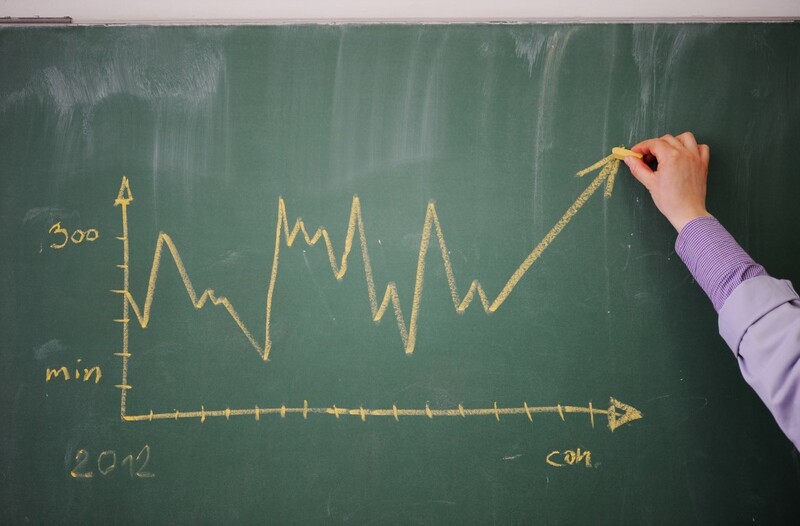 Sign up for the Watch Muskegon e-newsletter below!